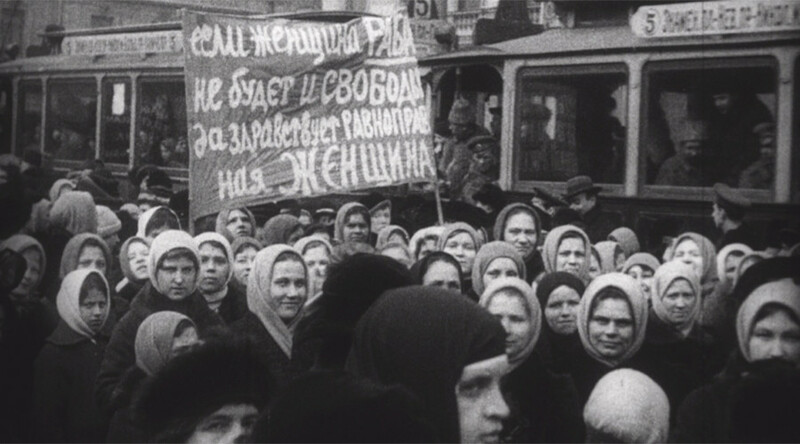 Building on the momentum by the women’s rally which ignited the February Revolution, tens of thousands of Russian women marched down central Petrograd on April 1, 1917 demanding voter equality. 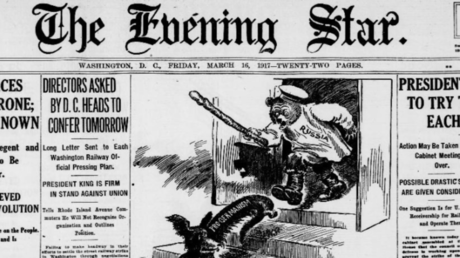 Follow the latest news 100 years ago with #1917LIVE. 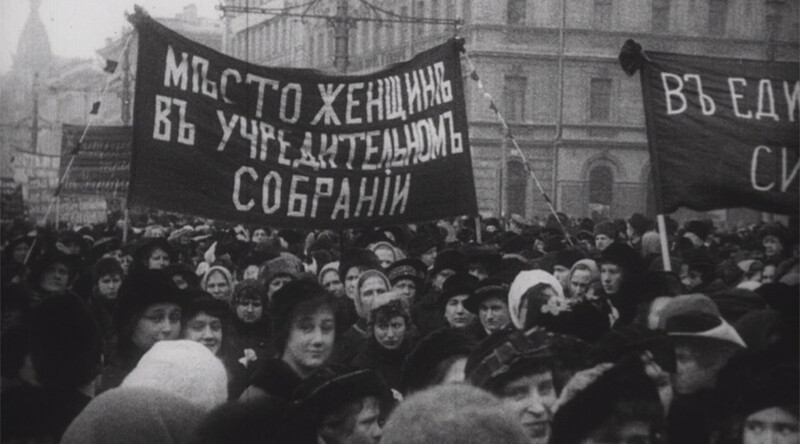 “Without women’s participation, suffrage is not universal,” read the modestly-worded, but gigantic red placard that made its way down the Nevsky Prospect – the main street of St. Petersburg, then called Petrograd. “Long live equality for women!” read another, and so on they went. 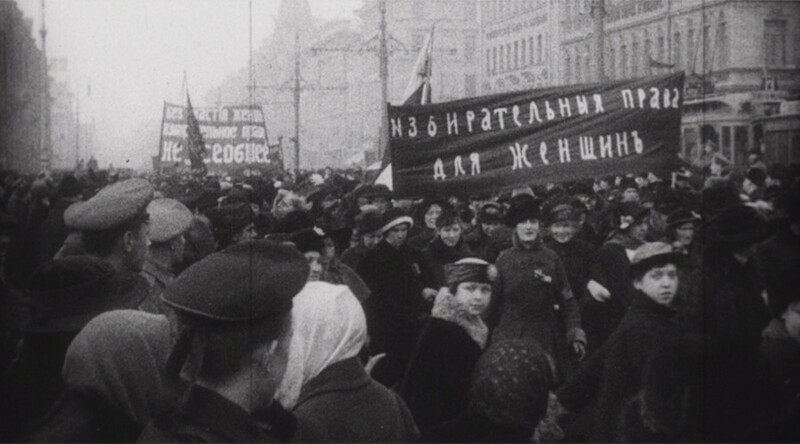 Some 40,000 people, by varying media accounts, marched down the Nevsky Prospect to the Tauride Palace, the headquarters of the State Duma, to demand women’s suffrage. This came less than a month after the March 8 International Women’s Day demonstrations in Petrograd which sparked the February Revolution that ousted Tsar Nicholas II. After the collapse of the old regime, the Provisional Government issued a declaration proclaiming freedom of speech, amnesty for all political prisoners and most importantly, “universal suffrage.” Yet the document failed to address the right of women to vote, thus the suffrage was not at all universal. So on April 1, tens of thousands of women from all walks of life and led by the All-Russian League for Women’s Equal Rights decided to change that. Starting on Nevsky, the massive crowd marched over 4km to the State Duma where the revolutionary authorities were seated. 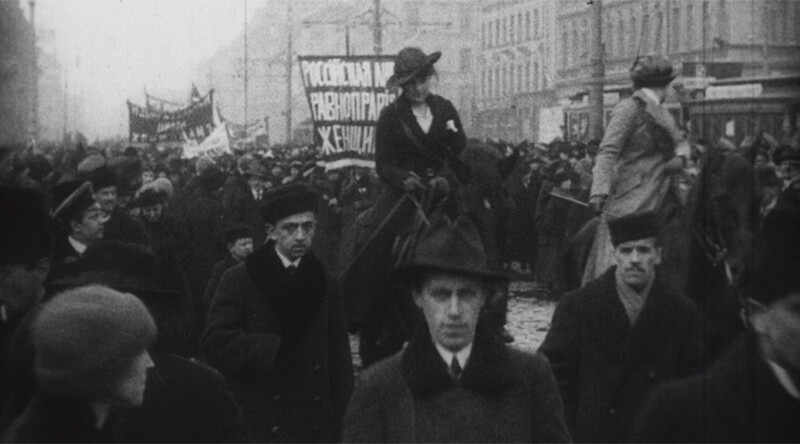 In the center of the procession drove an open car carrying the leader of the League, Poliksena Shishkina-Iavein and a prominent revolutionary, Vera Figner. 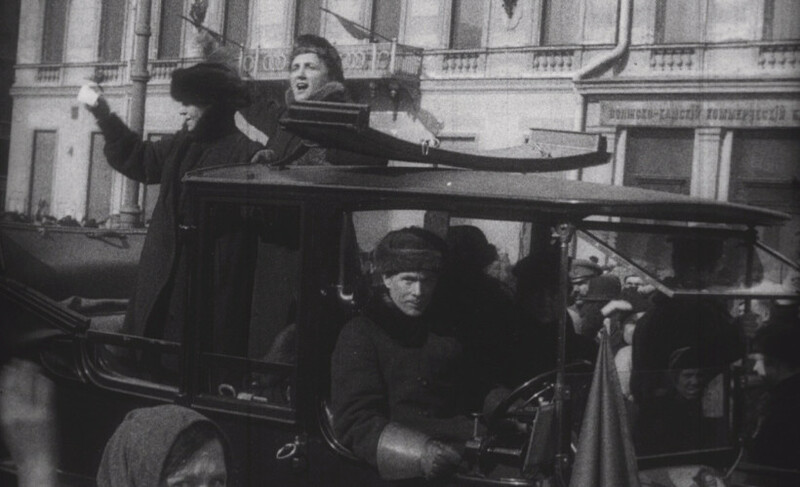 Shishkina-Iavein and Figner entered the State Duma to address the chair, Mikhail Rodzianko, and the chair of the Petrograd Soviet of Workers' and Soldiers' Deputies, Nikolai Chkheidze. Protesters had picketed the Palace for hours. Several impassioned back-and-forth speeches were made between the demonstrators and Chkheidze and Rodzianko, until, finally, the women got the definitive answer they wanted. Rodzianko, who was the last to come out and greet the demonstrators, finally caved, showing visible sympathy and sending the demonstration to the head of the Provisional Government, Georgy Lvov. That day, the authorities finally agreed to recognize the right of women to vote. By the morning of April 2, the decision was all over the news. April 1 “is a notable day for all the women and for those who stand together with them in the struggle for their rights,” a local newspaper wrote about the march. In July, the resulting electoral law would ratify the right of Russian women to vote and run for office. This made Russia one of the first countries to give women the right to vote. In fact, the first European country to back women's suffrage – back in 1906 – was the Grand Duchy of Finland, then part of the Russian Empire. To help our audiences engage with the complex and contradictory events of 1917 Russia, RT has, since the beginning of the year, been running #1917LIVE – a Twitter project that re-lives the gripping 12 months in real time a hundred years later. What better way to reflect the diversity of views in the period than through the dozens of competing voices who have been tweeting their views on the Revolution? You also have an opportunity to engage with the Russian Revolution and become part of our project by creating your own historical Twitter account under the #1917CROWD concept.